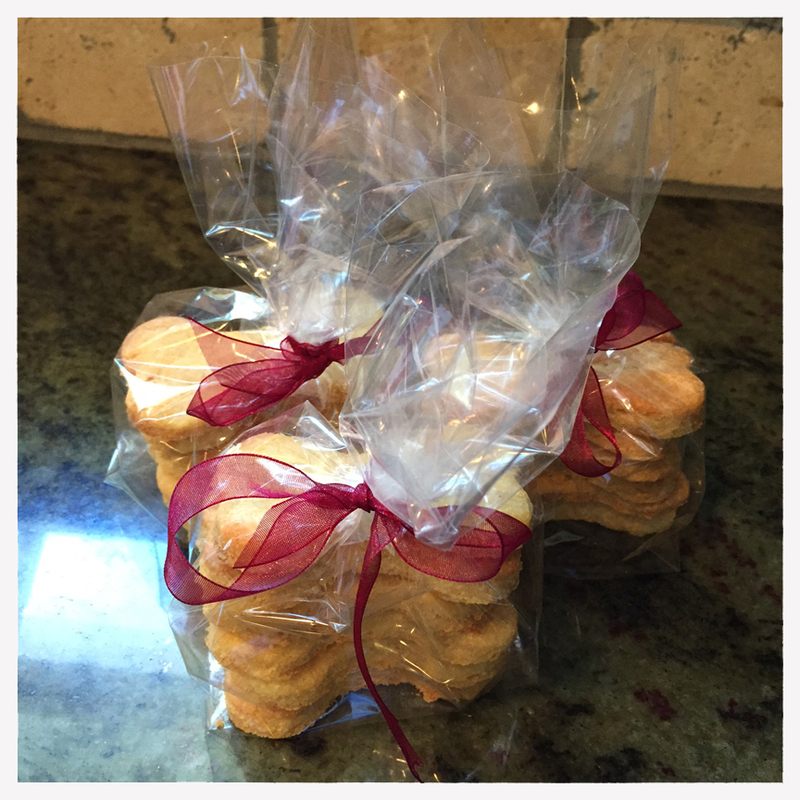 This weekend I baked dog cookies for our Dobie mascots and their neighbor canine friends! 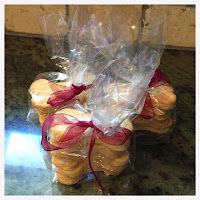 My goal was to bake these treats without going to the grocery store. Success! 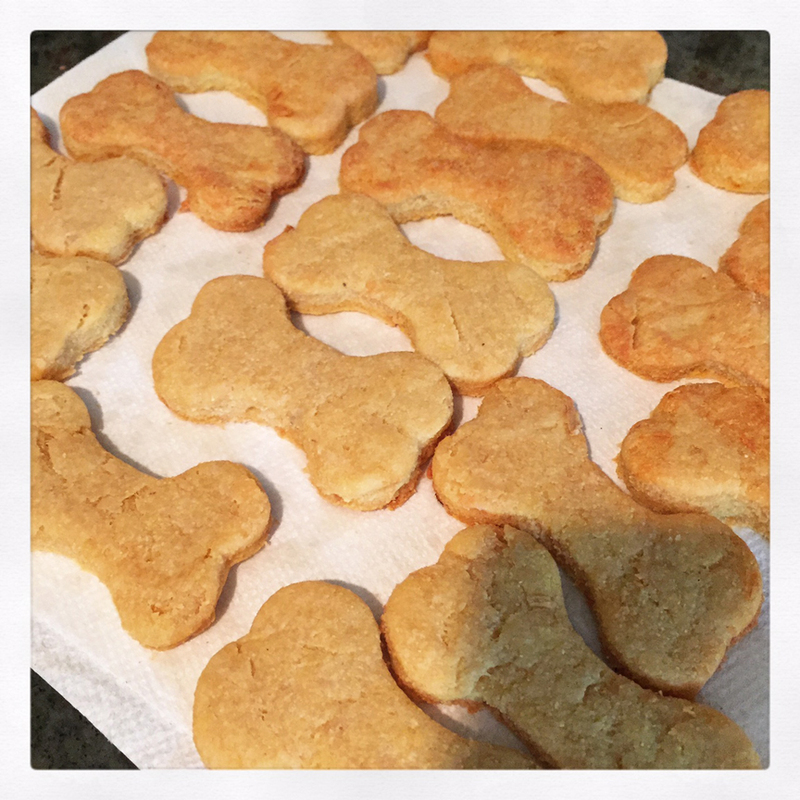 I slightly altered a recipe I found and made what clearly were very yummy "Tuna Treats." Stetson & Ida have inhaled what I've allowed them. And our neighbor dogs - Charlie, Hedda and Monty seemed to like theirs quite well too. Want the recipe? Here you go. Makes about 2 dozen. And honestly, it was so easy and quick! 1 can tuna (in water) - the original recipe said oil, so I just added a bit more than what the original recipe called for. 2. The recipe says to drain can of oil. I did not drain my can of water. 3. Combine cornmeal, flour and salt in large bowl and mix. Add tuna, water and oil and mix thoroughly. 6. 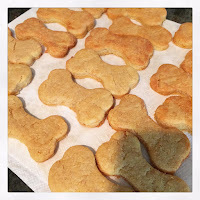 For larger biscuits 3" bake 30-35 minutes. (That's exactly what I did, with switching the trays half way through this time period.) Note: Smaller cookies are recommended at 15-25 minutes. 7. Transfer to rack for cooling. Store in an airtight container and refrigerate. And then I wondered, could I have baked these with fair trade ingredients or used possible substitutes. The answer seems to be yes and no. By researching I've learned a few things. Here is what I learned. Tuna. Is there fair trade tuna? I didn't learn of anything online that would indicate there currently is. At least not in a can. Safeway and Fair Trade USA launched a plan in 2015 to introduce fair trade fish for the North American market. They indicated they would begin with wild-capture tuna from small-scale fishermen in Indonesia. 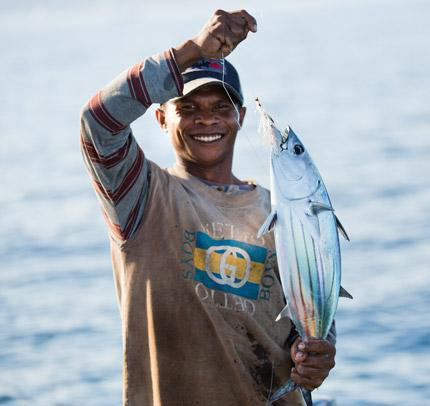 This program was to be the first of its kind to address both social and environmental responsibility in fishing communities across the globe. This is definitely a topic to research further. (Wheat) Flour. You can purchase organic wheat flour. What I found online was 'fair trade coconut flour' - something I'd never heard of before. It might be fun to check this out and see how it can be used. I'm not sure it would be an appropriate substitute for dog biscuits. 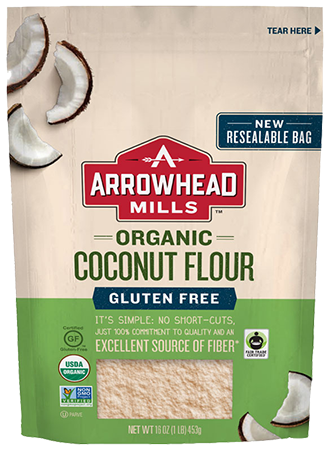 Fair trade coconut flour is available form several sources including Tiana and Arrowhead Mills. Arrowhead Mills sells a lot of organic flour. It appears the Coconut flour is the only one certified fair trade. Vegetable Oil. There are many producers of nuts and seed-oils that produce fair trade products. Fair Trade USA has partnerships developing with several suppliers. I'd like to make a call-out to one of our Fair Trade Federation member colleagues, Canaan Fair Trade. 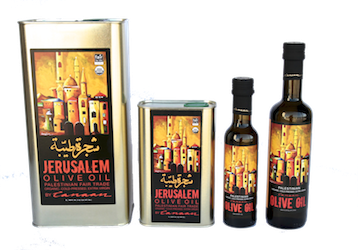 This company works diligently to fairly employ those in marginalized Palestinian rural communities and they offer several varieties of olive oil. Had I had fair trade olive oil in my pantry, I'm certain it would have been an appropriate substitute for the veggie oil I had on hand. The dobes would absolutely not complain.